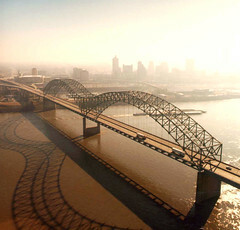 The largest city on the grand Mississippi river, Memphis is a slice of true Americana. As a visitor here you’ll never be stuck for things to do, and there’s something to appeal to every interest. 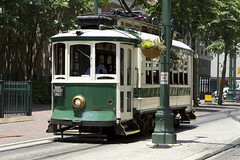 A favored excursion is a slow ride on an authentic riverboat. Taking a tranquil trip down the mighty Mississippi at sunset is unforgettable in itself, but throw in some mouthwatering crispy pulled pork, a tall glass of sweet tea and a live house band, and you’ve got the recipe for a perfect Memphis evening. 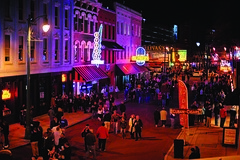 Memphis is also home to some of America’s most intriguing historic sites. A visit to the National Civil Rights museum is a must for anyone with a passion for the past. 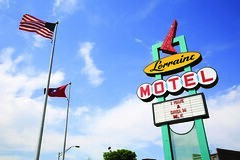 Located in the infamous Lorraine motel, the site of Martin Luther King’s tragic assassination in 1968, this museum tells the story not only of Dr. King but the struggles that both preceded and followed his life. The Memphis Pink Palace Museum is another high point, housing a number of artefacts and exhibitions on the cultural history of the American South. Music and Memphis go hand in hand, and no musical tour would be complete without a pilgrimage to Graceland, Elvis Presley’s mansion and a listed national historic landmark. Set between rolling hills, and secluded in a grove of oaks, a visit to Graceland is sure to help you tap into the immortal spirit of 50’s Rock ’n’ Roll, and give you a unique insight into the King’s life – you’ll even get a look at his shopping list! Combine this with a trip to Sun Studios, the famous stomping ground of Elvis, B.B. King, and Jerry Lee Lewis: the godfathers of modern Rock ‘n’ Roll. Finally, top off your stroll down Memphis’s musical history with a visit to the Rock ‘n’ Soul Museum. Experience firsthand the political and racial struggles that underpinned some of the most progressive and culturally important music in U.S. history. 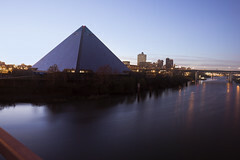 The spirit of Memphis musical era is alive and kicking today; we recommend you visit and discover the city for yourself. It was 1000 times worth the trip and we'll definitely be using MCI for our next adventure!